If someone had suggested a decade ago that countries around the world could obtain large amounts of natural gas from the United States, the idea would have been dismissed as fantasy. Back at the turn of the century, American natural gas fields were thought to be depleted, and energy investors were pouring billions of dollars into hugely expensive terminals to import natural gas, not export it. Today, we have seen a remarkable change. Due to the shale revolution, the United States is the world’s top producer of natural gas, and the U.S. is well on its way to becoming the largest exporter before 2025, a hopelessly unrealistic quest only a decade ago. By the end of this year, several new export terminals now under construction are expected to enter service, increasing U.S. export capacity of liquefied natural gas (LNG) to 9.6 billion cubic feet per day, nearly triple the amount of natural gas currently being exported. That shows how far LNG has come in redefining itself as an energy game changer, allowing the United States to deliver impressive political and economic benefits to European countries that have been able to reduce their reliance on Russian gas. For former Soviet bloc countries seeking to get out from under Vladimir Putin’s thumb, LNG transported from the U.S. has gone a long way toward establishing independence of action and flexibility, because it has provided an assured supply of natural gas. Natural gas is a desirable fuel because it is more plentiful than oil and burns more cleanly, reducing pollution. China and India, two countries with serious environmental problems, are competing for U.S. shipments of LNG. U.S. natural gas exports via pipeline to Mexico are increasing as well. In the past five years, cross-border pipeline capacity has nearly tripled to a level far greater than current LNG export capacity. There’s a huge appetite for U.S. natural gas both at home and abroad, thanks to soaring gas production from the nation’s shale fields. But there may be an oversupply of gas, resulting in too much being exported. Rising exports could harm U.S. electricity consumers if growing demand for natural gas pushes up prices in regions of the country – from California to Florida to New England — that have become heavily dependent on gas for power production. Already, low natural gas prices along with hefty subsidies and state mandates for renewable sources of power have pushed baseload coal and nuclear power plants into early retirement. In some markets, such as New England, the well-balanced mix of fuel sources that was a strength of the grid just a few years ago is now gone. Diversification has been replaced by a worrying over-reliance on natural gas. Should natural gas prices increase in the future, there might be no nuclear and coal plants to shield consumers. 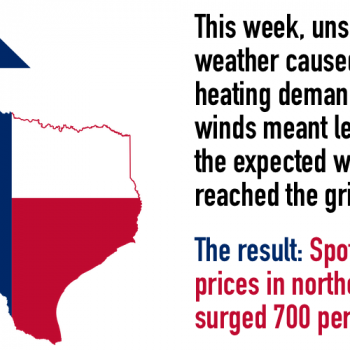 The loss of balance is infecting other electricity markets as well. In New York, the state is pushing a rule that would effectively eliminate coal from the grid by 2020. New York may have only two coal plants remaining, but the threat of the rule has sent electricity futures soaring. The price of power for 2021 has jumped more than 30 percent since the beginning of May. Senior executives from four major utilities recently wrote PJM, the nation’s largest grid operator serving 65 million consumers in 13 states and the District of Columbia, begging for market reform to better value fuel diversity and existing coal and nuclear plants. Their concerns have been heard but there’s been no action. For too many policymakers, concerns about a loss of fuel diversity are easily brushed aside by an unshakable faith in low natural gas prices and the benefits from LNG exports. But consumers could be left out to dry – in large part because we’re stuck with an old, inflexible electricity system even as the government provides lavish support for natural gas production and LNG exports.